Lor Mee, probably one of Singapore’s favourite local food delights and definitely one of my favourite food delights. Soon Heng Food Delights Lor Mee, tucked away in one of Singapore’s oldest hawker centre, in the middle of the Central Business District, in the heart of the Tanjong Pagar. 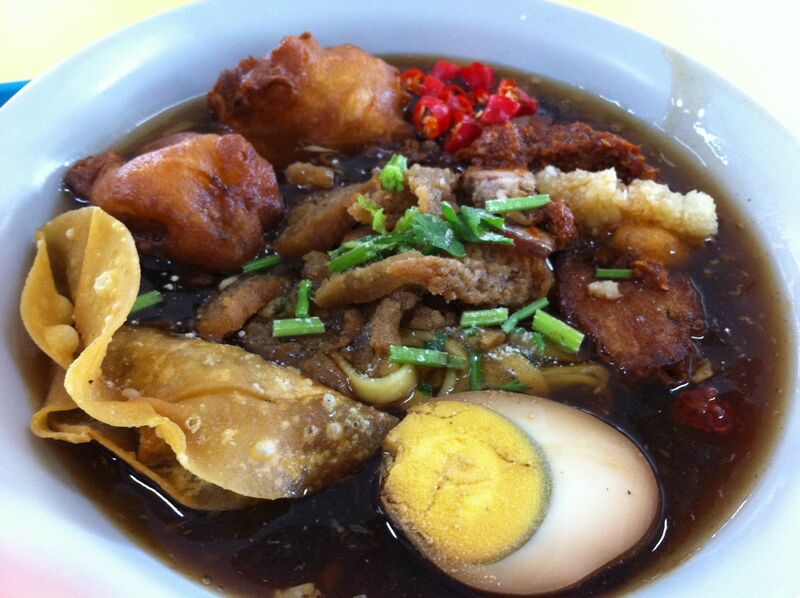 What makes this Lor mee so special, popular and well liked ? Take a look ! Can you see the ingredients inside the bowl ? 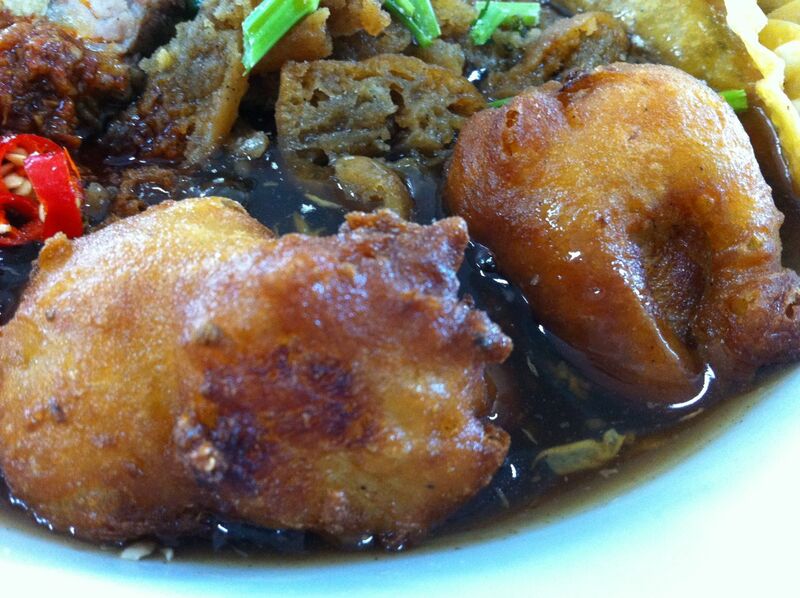 Did you see 2 deep fried “fish ball” ? Do you know what it is ? It’s not your average fish ball, it’s deep fried shark meat ball !! The Lor Mee soup/gravy base is not as thick, however, it is just as smooth, delicious and doesn’t turn soggy quickly, retaining its texture, smoothness and taste. Their ingredients are a mixed of Ngoh Hiang a.k.a Wu Xiang and this make this Lor Mee special and unique. Their chili comes in 2 types, sliced chili and belacan chili, along with the nicely mashed garlic, put them together into the Lor Mee gravy/soup and you have a great combination ! Blk 6 Tanjong Pagar Plaza Market and Food Centre. Alright foodies ! Do drop by and have a great Lor Mee meal !